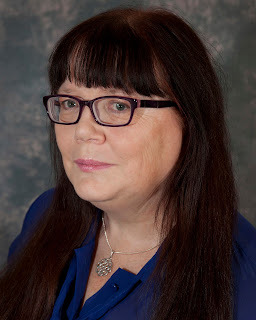 The title of this blog is not to suggest I am a military tactician but to establish how much progress a writer can make by removing her/himself from the ‘normal’ world. 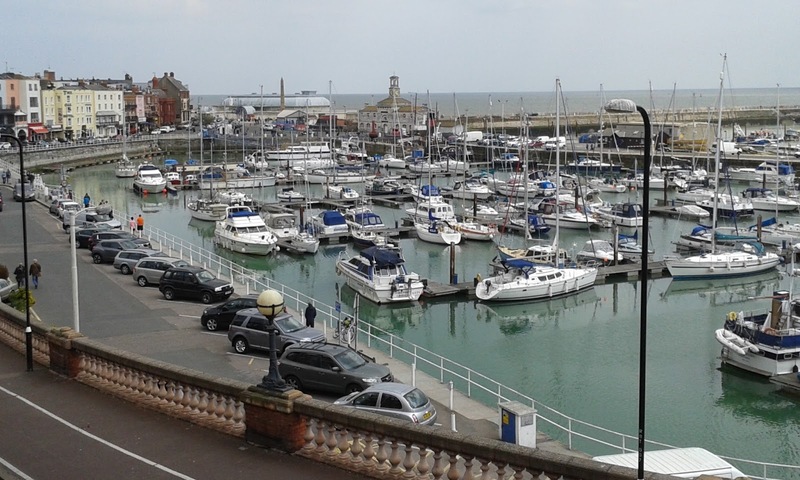 For this year’s annual writing retreat, Elaine Everest, Elaine Roberts, Francesca Capaldi Burgess and I chose Ramsgate on the Kent coast. For one week we lived and worked in a delightful house overlooking the beach and the harbour. We all had different aims but the ambition of each was to focus on our work away from the distractions of everyday life. There was a level of concentration that was impossible to maintain every waking hour so I make no apology for admitting that we sampled many of the diversions on offer – and the ice-cream was delicious. I asked each of my companions to tell me about their week. I like to plan what I'll be working on while on a writing retreat. Clear the decks so I'm not working on admin or blogging if at all possible and stick to my writing. 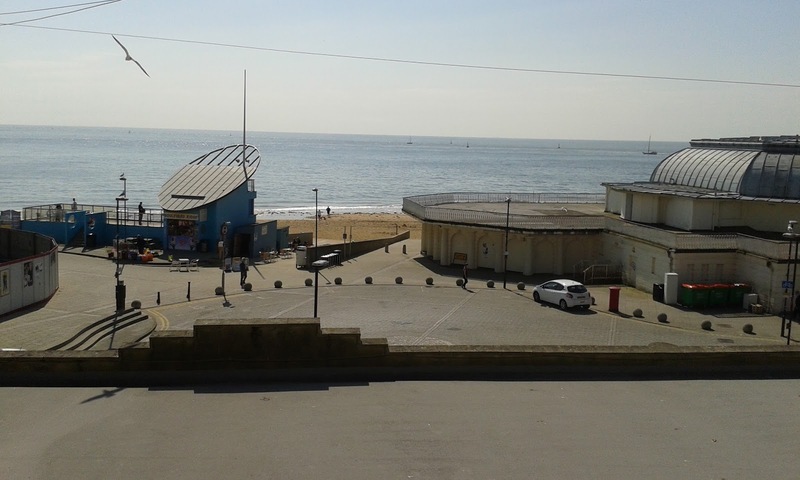 This year the sun has been out most days and our lovely four-bedroomed house overlooks the sea. There's a buzz from cafes and the harbour nearby which can make it extremely hard to concentrate on words. Worse still was waiting on news from my publisher with the Nielsen Bookscan results for The Woolworths Girls. 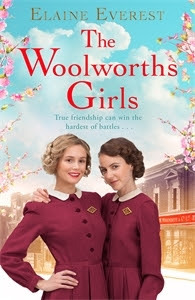 Tuesday started with much chewing of fingernails and ended with ice cream and bubbly when I learned The Woolworths Girls was number 15 in the Sunday Times Bestsellers chart. 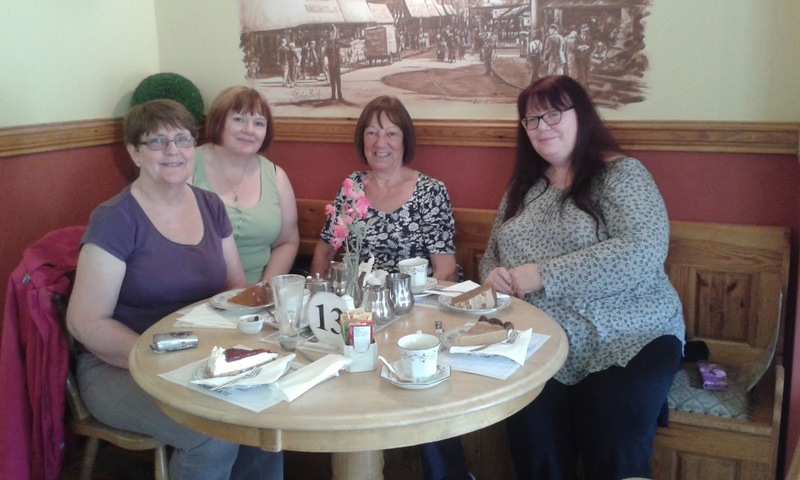 Apart from that I wrote around 2.000 words before moving onto edits for my second book The Butlins Girls. With a fair wind behind me and not too much sun to distract me I should have cleared the track changes and possibly even written another short scene before we head for home on Saturday. The week before the writing retreat, I made a plan and chapter breakdown of my new novel. In my mind, I thought I’d write around 10,000 words; the final figure was 6,335. No, I am not disappointed; tiredness got the better of me. I lost two days writing, one travelling to the RNA Summer Party, which was great, and the following day. Wine, travelling and lack of sleep did play its part for me. The week did bring lots of writerly discussions. We celebrated Elaine Everest’s success with excessive ice cream and champagne, not at the same time. An afternoon coming up with book titles caused a lot of laughter as we sat near the marina; we got some funny looks from people sitting close by. It was a good week of sea and sun, with lots of food and wine, even if my word count was down. A week away to write, research and edit the second part of my serial for People's Friend was what I was hoping to achieve during our week in Ramsgate. Happily, I can report I managed it. I'm sure I'll do a couple more edits, but it's more or less ready to send off. A retreat is a good way to escape the everyday stresses and have some dedicated writing time. It's also valuable having other writers to hand as you can throw ideas around and get feedback. Not all the ideas are sensible but they are fun! I find that our down time, sharing meals etc, is an important component of the week as it refreshes us and sets us up for the next bout of work. For a while there I felt as if I was in no man’s land. I had not yet engaged with my new novel and I was waiting for track changes to arrive from my agent, Lisa Eveleigh. Arrive they did and I set to with a will. 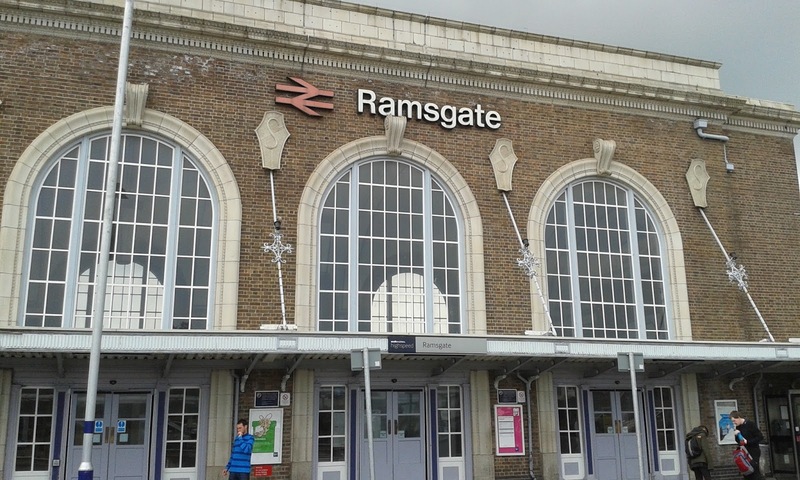 We took a day out to get the train to London for the RNA Summer Party, arriving back at the house in Ramsgate close to midnight. We walked each day, on the promenade, on the beach, inland, exploring this lovely seaside town which I had never before visited. We ate a lot. We drank…some. And we worked! Edits were resumed. They are time-consuming and require much concentration, but are very rewarding. I still have a lot to do but at least I can now foresee the time (I hope) when my book will be ready to submit to publishers. So let’s return to the title of this post. Retreat to Advance. It is unlikely that I would have achieved as much had I remained at home. Every writing retreat I’ve been to has pushed my work forward, given me the time and space to focus on the job in hand. Though the edits are not finished they are well in advance of where they would have been. So, here’s to next year’s retreat. To more eating, drinking, walking and exploration. And above all, to more writing. My thanks to Elaine E, Elaine R and Francesca for their contributions.